One of the things we liked about our new Garmin chartplotter that we installed in December was its connectivity. 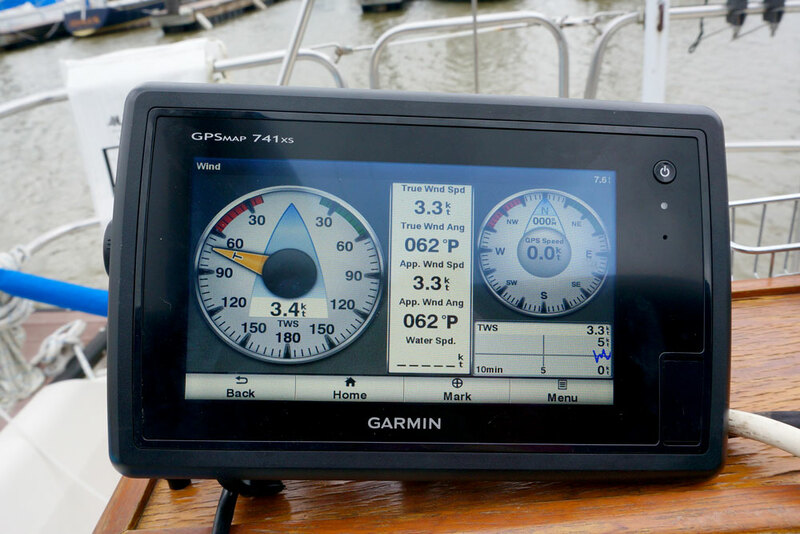 The chartplotter was our first electronic device with a NMEA 2000 plug. NMEA stands for National Marine Electronics Association, and 2000 is the standard set for communication between devices. 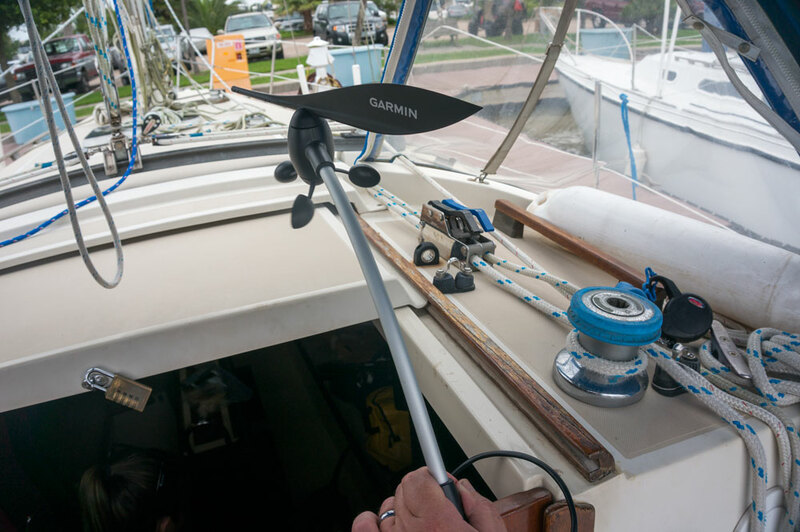 Garmin sticks with a NMEA 2000 nomenclature, but Raymarine SeaTalk, Simrad Simnet, and Furuno CAN are all rebranded NMEA 2000 systems that only need a plug adapter to be compatible. Theoretically, any two NMEA 2000 devices will connect and communicate with each other no matter the brand. However, since we’re starting from scratch when it comes to the electronics on Gimme Shelter, we decided to stick with Garmin as much as possible. 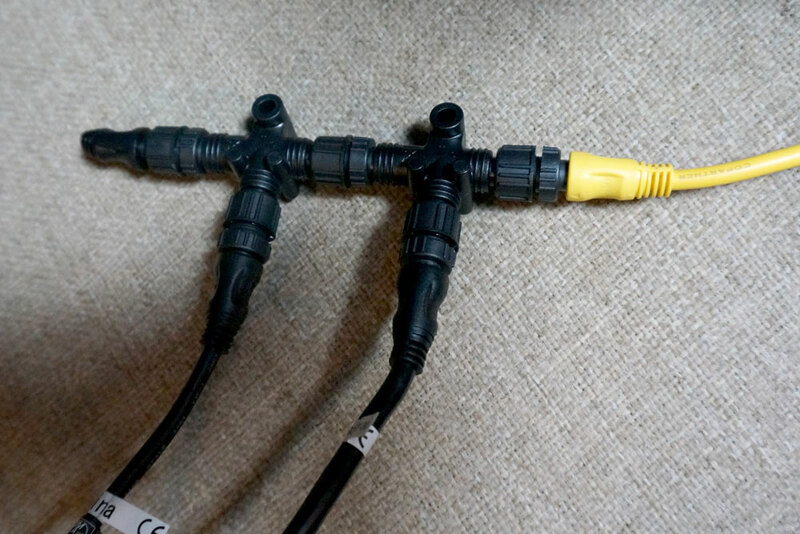 The first step to setting up any NMEA 2000 system is to install the backbone. 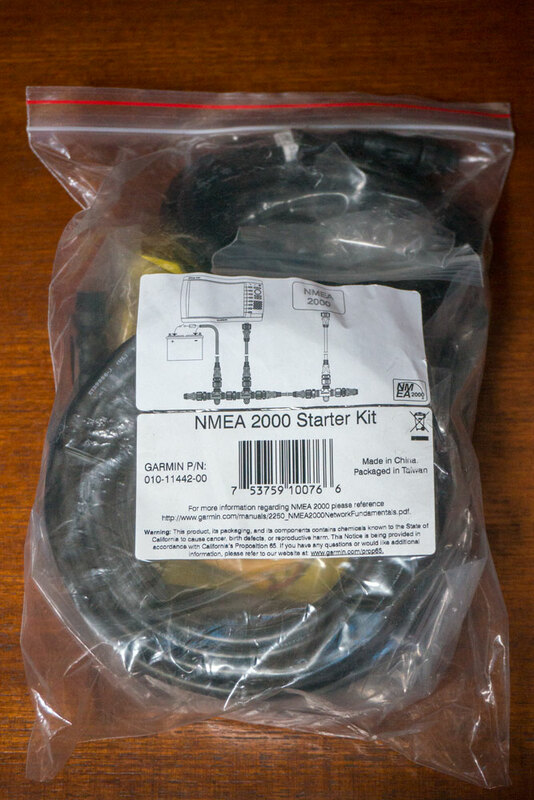 We went with this Garmin NMEA 2000 Starter Kit that cost about $60 through eBay. The only directions that came with this kit was the diagram on the label. That’s it. It’s THAT simple. 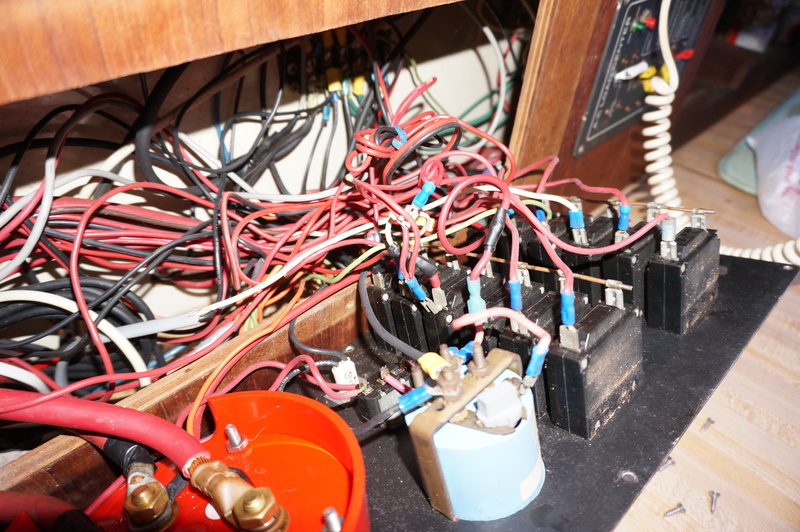 However, I chose to hook the yellow cable, which is the 12 volt power cable, to the chartplotter circuit on the back of my breaker panel instead of directly to the battery. The starter kit came with two T connectors and two terminators. I ran a cable from one T to my chartplotter. I ran the other cable to my GWS 10 Wind Instrument. I switched the chartplotter to the “gauges” setting, chose wind, and … nothing. Nothing happened at all. It didn’t work. I stared at the diagram. I retraced my wiring. I pulled the breaker panel off again and re-checked my power connection. It just wasn’t doing anything. I finally resorted to Google and almost immediately I found out the most important detail of this system. NMEA 2000 doesn’t work unless there is a terminator on every open T plug! The starter kit had come with two terminators, and I hadn’t bothered to put them on. I figured they were just to keep the dust out or something. Wrong. It turns out there’s a resistor in those terminators, and unless they’re on the open plugs, no signal gets sent anywhere. So after plugging a terminator onto the end of the backbone, I turned on the chartplotter again. This time I had success! 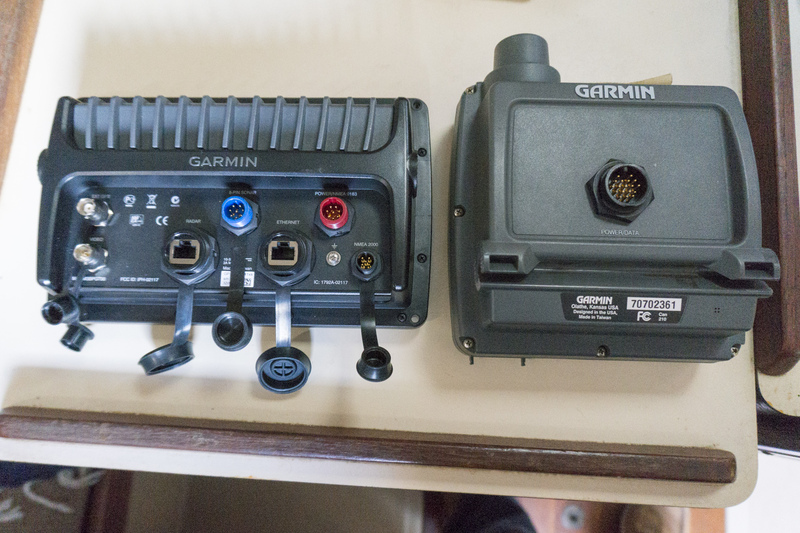 Now all it takes to add new devices to my system is another T and a NMEA 2000 cable. Of course, setting up the backbone was the easy part. The real fun starts this weekend when I climb the mast to drop a new cable and mount the wind instrument. good luck climbing the mast! I haven’t done that yet.